When Oneir Solutions Inc set out to plan and to develop the Next Generation of its ERP software, both Jane Giggal, Oneir’s President and Jonathan Mainwaring, Executive Vice President knew instinctively that they needed a new well researched and comprehensive Business Plan that would allow them to explore all the amazing opportunities that the new emerging Industry 4.0 and Digital Transformation (DX) Economy held for all their diverse customers with their challenging demands. For over four decades, Giggal and Mainwaring who have extensive business experience, provided hands-on advice for midsize and larger companies by recommending and implementing both the Oneir’s, and its sister company, Vigilant’s Enterprise Resource Planning (ERP) software systems. And now they are creating a revolutionary new plan for the future of Oneir Solutions and its clients. As he has experienced himself, Mainwaring advises “Always remember that your business plan should be clear and provide a roadmap for your company because without a plan it becomes more difficult to communicate your vision and see a path to growth.” He goes on to say “It is essential that you recognize that the Business Plan is a formal statement of business goals, the reasons why these goals are attainable and the strategy you have to reach them.” As a guide see Appendix 1 – Business Plan Table of Contents for the outline of the topics that we ourselves addressed in our own Business Plan. He further adds “Understanding your customers’ needs, now and in the future is essential.” We recognized this and to that end created a questionnaire. See Appendix Two – “Wish List” Questionnaire as a guide. A “Wish List” like this can act as a crystal ball to project where customers will be in this ever-evolving future… three, five and ten years from now. In our case, we discovered that the questionnaire indicated where we needed to direct our business by using revolutionary and transformative technology. We also discovered that after discussing all this detailed input we had a clear direction. We knew that our success meant that we had to establish Key Performance Indicators (KPIs) to benchmark our success. These KIP’s, when effectively implemented, would be used to navigate the company into the future. In addition to the Business Plan, we know a sound financial strategy is necessary. This financial plan provides a basis for examining the financial validity for the business. It should include projected budget with the Cash Flows, Income Statements and Balance Sheets. Creating a budgeting process is the most effective way to keep your business – and its finances – on track. Part of having an effective financial strategy is to contract the services of an accredited accountant or CPA who can well advise you. This financial budget can be implemented on your ERP software solution or ours…Oneir Solutions ERP Software. Then your progress can be monitored against the budget, and predictions can be forecasted and corrective action can be taken as trends are identified. 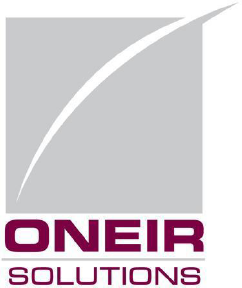 Next Software Generation for Oneir Solutions Inc.
Toronto, Canada – February 12, 2018 – Oneir Solutions Inc has embarked on a major re-write and modernization of its integrated Enterprise Resource Planning (ERP) and Business Management Software. In summary, the development will be Web-based, thus allowing more integration with the Internet and having Mobile Apps for access no matter where your customers are located. The objective is to enhance the software with the most modern features available on the market today and lay the groundwork for future development opportunities…Thus providing more ways to get a competitive edge. To assist with this endeavour and ensure Oneir Solutions customers have all the tools at their disposal, Oneir is asking each and every customer to get involved in the development and provide three key enhancements they would like to see. …But these are only some areas for suggestions. Oneir looks forward to receiving the suggestions for incorporation into is feature–rich software application. Please forward suggestions to Jon Mainwaring: [email protected] or calling 1-877-322-3580 x3070. You can also contact us via our website.